This is the website page with THE IMPORTANCE OF PLAYTIME on it. 90 Second Agency Tour. We cheated. 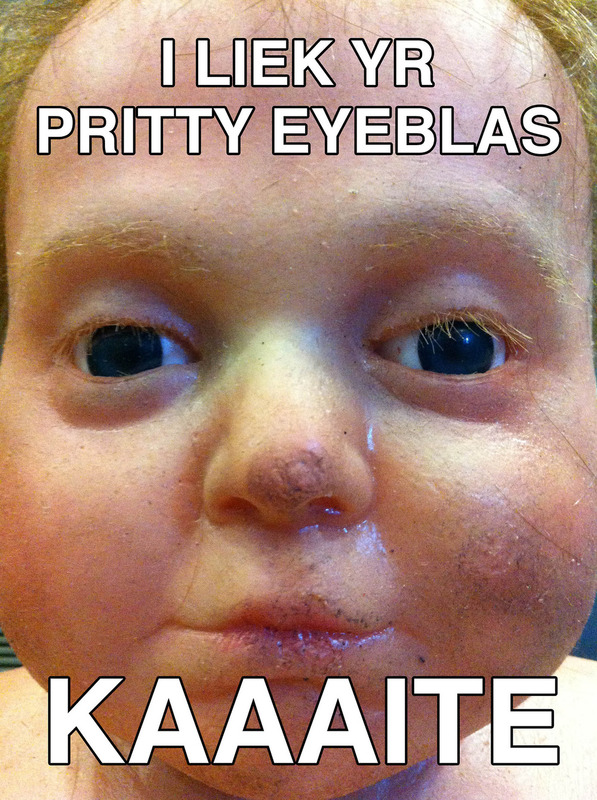 I don't know what this creepy baby's problem is, but it's obsessed with our account director, Kate. Which is why we texted these to her in video village throughout our four day shoot. Here are highlights. Don't say you can play the ukelele unless you come ready to play the ukelele. The day of their interviews, we sat prospective Mterns down, completely unprepared, in front of a camera for a pre-interview ("The Internview") to loosen them up and find out more about them. Oh, and we streamed it live. We are so good at singing along that you should not watch this. Former McKinneyite and former resident beatboxer Vincent Patterson visited the office on the same day as our Internview. We recorded some bonus footage. Skip to 7:30. Actually you know what don't watch this either.